Audrey Allure: ABC Family/Jane By Design Challenge #3 - Handbags! ABC Family/Jane By Design Challenge #3 - Handbags! Challenge #3: "Find the purse that best represents you. 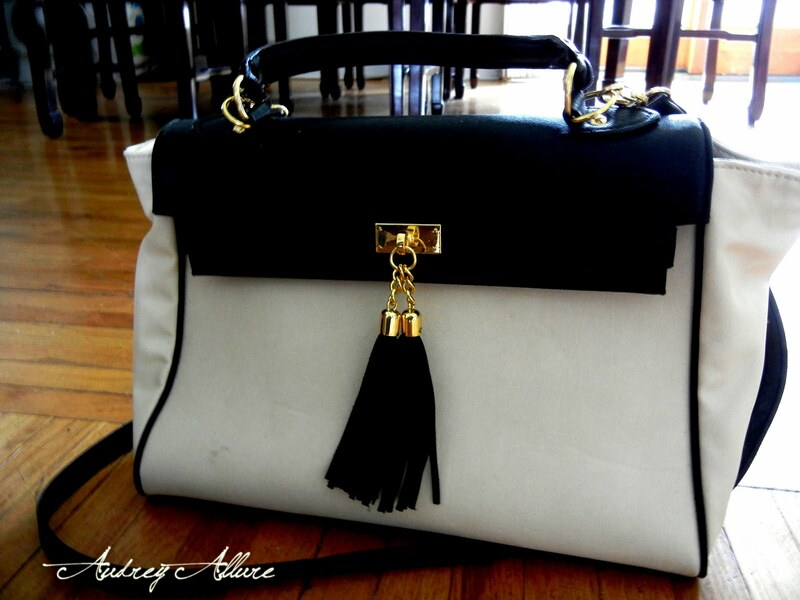 Post a photo to your blog & tell your readers why this purse conveys the very essence of who you are." Did you know that satchels were originally used for school books? It was most popular in the 17th century & it actually predates the backpack. What would that say about me? Hmm, well I am a big geek & I've always loved going to school and learning about something new. I usually put my studies and work before anything else, but that may also have been because of my upbringing. I also love the simplicity and sophistication of this particular bag. It's what I aspire to be and hope that's what my image conveys. The classiness & vintage-esque of it attracts me as well. I can always draw inspiration from past decades - especially from films of the 50s, good oldie tunes, and hearing stories from previous generations. The beautiful bag is such a great size -- perfect for fitting all of my things around & has lots of compartments inside, which I love because I definitely need organization in my life. Yes, there are a few times when spaces around the house show my items are all over the place (but hey! I know where everything is), but when it comes down to my work space or my handbag - everything is completely neat & tidy. I guess that just shows you where my creative side (go leftys!) mixes in with my Type A personality. So what bags represent you the best? Want to be ABC Family's Trendsetter of the Week? 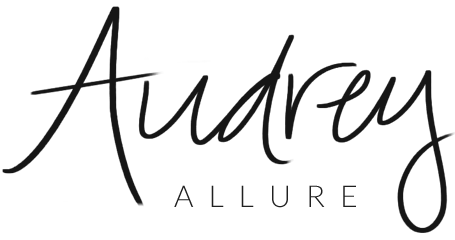 Stop by the Jane by Design Facebook wall & leave a comment stating what bag best represents you & remember to mention Audrey Allure for it to count! If you help me win the style challenge, I have the chance to pick one of YOU to be featured on ABC Family as Trendsetter of the Week :) (If you already commented for me in the past challenges, I would so love it if you can do again for this challenge!) & spread the word! I need all the help I can get :) Thanks in advance & thank you so much for your support--let's prove that I have the best readers! P.S. Check out this exclusive clip from the upcoming Jane by Design show, premiering Jan 3, for some inspiration! Great pick & good luck hun! Not on FB but thinking of you! I guess im more of a clutch lady. Altho they aint the nicest to carry for shopping or chase the subway train. Will pop by Janebydesign n leave you a comment too. Shall follow you from nw..Ure such a sweetie..enjoy reading ur blog and personality. P.S. Thanks for loving my new fedora hat! Ohhh gorgeous! I've been looking for a new bag big enough to carry everything I need for ages, and this one is perfect! Also, it would go with just about anything! You are so pretty and I love your look! Continue enjoying your holidays sweetie! Great bag! I hope you win! This is a really beautiful bag. To me, it conveys graceful glamour and sophistication. Hoping that you win! Satchels are always effortlessly cool. Loving the bag also! nice bag! best of luck! Love your bag! The shape and the tassels are amazing! Good luck with your challenge, and thank you for your comments on my blog! What a great bag ! Wow that satchel is gorgeous! I think to represent myself I would choose a clutch at the moment! I would so buy your bag. I love the structure and the colors. It's perfect for carrying around basic to and from work. Gorgeous bag; I can't resist satchels either! I think my Longchamp represents me the most. love the structured bag! it's so hard to narrow one that represents me, I'd say one of them would probably be my beloved black RM Nikki hobo bag..it's tough looking because of the gun metal grey hardware, but fun because of the birdy lining, not to mention casually luxe because of the buttery black leather. so amazing that you are featured on this program! Thanks for comment on my blog, yah I'm surprise it not really cold in NY, I will be there next week, so exciting. Same time last year was freezing I had hard to to survive through Jan. It is absolutely gorgeous!!! Love your answers, I hope you win the challenge! What a fabulous bag! The shape and the graphic contrast of the black and white is great! I'm into cross body bags lately myself. Best of luck! That bag is amazing. I love the shape and contrasting colors. I think all girls can't resist a cute bag. Right now my fav is the Proenza PS1 bag. Esp for work. omg, I'm so in love with this bag! so gorgeous! Oh my that is an awesome purse! The purse is really pretty, I would totally buy it too :) Hope you win the challenge! I just commented darling and totally love satchels too! 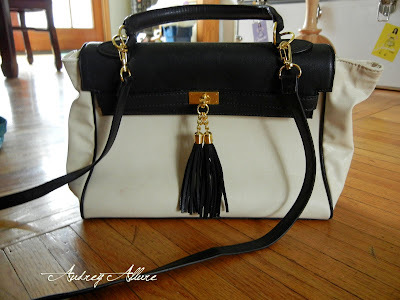 I love this bag - the tassel and the entire structure of the bag is fantastic. Very cool what your wrote about how it represents you. such a cute purse Audrey! I am into huge totes right now, anything with leather,chains, studs, a bit of fringe. I like my bags to have some rock n roll to them! Wishes you and your family a Christmas filled with joy and a Happy New Year! Love this bag! Good luck!! Can't wait for Jane By Design to premiere. Love this bag! I can see that it represents you. It's soo cute, simple, and versatile. Great challenge! I guess I'm more of a book tote kind of girl since I carry my bowling bag every single day and hate to have to switch out to a clutch these days...best of luck with this and wishing you a very happy holiday! Good luck with the challenge and Merry CHristmas! That bag is awesome, especially the addition of the tassel! can i just say, that purse is gorgeous. my next bag is definitely going to be satchel. going to write on their FB page now! congrats! and yes, remember the satchel back in the days, when my Mom had those, she told me! i like structured bags like this! Great bag!! I love the simple black and white and the clean lines, then that cute tassel! I have a weakness for satchels too and being two toned gives them brownie points. I adore your pick! Oh, that IS gorgeous! The next time I get a bag I definitely want it to be a satchel! I love the cream and black on this one. And the tassel is a darling detail! Super cute bag, but what brand is it?